Whether you’re playing for a room of one or 1,000, performance anxiety can be powerful– even debilitating. This week’s guest post from piano teacher James Barnett of MGR Music offers four approaches to mitigating performance anxiety. We hope it will give you some tools to help build confidence and to shine when playing for others! As a piano teacher, I hear several common phrases from pupils. These include I could play this at home… I don’t understand why it’s not working here…I never usually make that mistake… I don’t understand why it’s happening today— or any number of comments along those lines. I remember saying the same things to my piano teacher when I was a pupil, and feeling frustrated that my fingers weren’t working properly in performance– even if that performance was just my lesson. 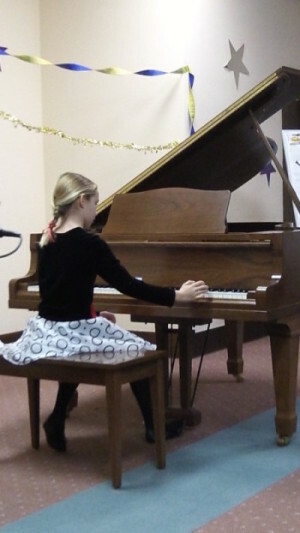 Performance anxiety doesn’t only happen when playing in a recital or concert; it can can strike whenever you need to play on demand, including during lessons. The pressure is on, and this causes the anxiety. If you regularly play better on your own than for others, then it’s worth exploring why and how performance anxiety affects you. Taking the following four-pronged approach can lead to improvements like actually enjoying your performances, and being more consistent in the quality and frequency of your playing. This is absolutely your starting place, don’t begin with the other things further down this list! If you want to get over performance anxiety, it’s imperative that you perform as much as possible. This can be informal. Ask your friends to listen to your playing, maybe do some open mics, or find a piano meet-up group where you can play to other pianists (try meet-up.com). Once you’ve decided when to play, commit to it. You might have those internal voices saying things like, It doesn’t matter if I don’t play today, I can do it next week instead. These voices tend to come from the same place as the anxiety. Choosing the right pieces to play is also very important. Everyone likes a challenge, but you don’t always need to play a Chopin Study, a Rachmaninov Prelude, or another piece that stretches your technical abilities to the limit. I recommend choosing pieces that are easier to you and very achievable. This can boost your performance confidence. Once you have committed to performing, the other “prongs” become much more useful. Preparation is important, and this means learning how to practice effectively. Playing through an entire piece is an important part of practice, but you must learn to isolate and solve problem areas. Identifying what is making something difficult will probably require the help of a teacher. Keep an open mind when practicing, and insights will be revealed to you. It’s not good enough to play something once correctly during practice. Try it 10 times. Is it good enough eight or nine of those times? If not, then it’s not ready quite yet. Using relaxation techniques before performance and practice can be really helpful. Sitting or lying down and focusing on your breath for 10 minutes can make a big difference in how you play. You may feel calmer, and the thought of performance may become less stressful. Related to relaxation is mindfulness. Playing a musical instrument is the perfect opportunity to be mindful and aware of your senses. While you’re playing, your mind will stray from the task at hand. Bring yourself back to the present by feeling the piano keys under your fingertips, listening to the sound you’re making, or watching your hands move. Exploring yourself can also help combat anxiety when it gets in the way. Experiences while growing up at school or at home can be the root cause of your anxiety. Perhaps expectations were high from yourself or others. Understanding what triggers your performance anxiety can really help reduce it. You may find that the pressure and associated symptoms are mainly of your own making. 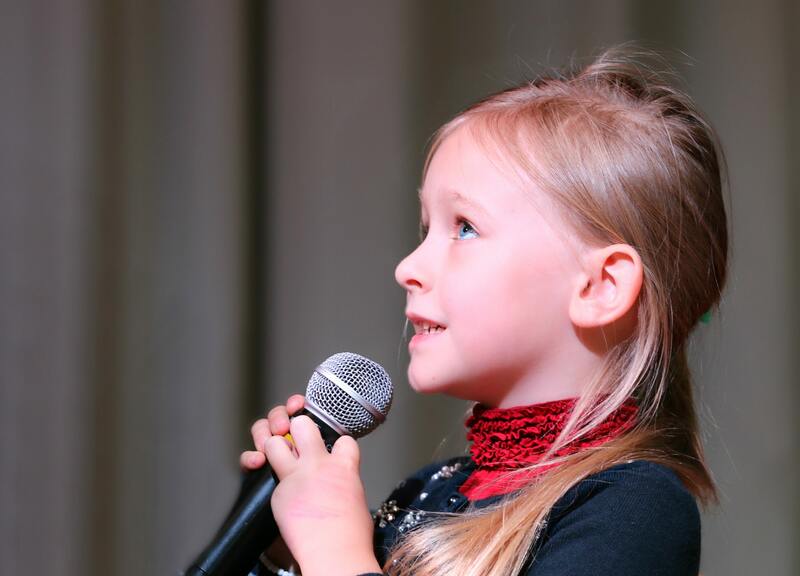 When I listen to my pupils, they can be playing brilliantly and then make one mistake and the performance completely falls to pieces. Our reactions to mistakes are often deeply rooted in how those around us reacted to them when we were young. If you want to be a good musician, learning how to carry on and put mistakes behind you is essential. There are lots of big ideas here, and they are sometimes difficult to apply. However, it may be helpful to think of them as songs to be practiced. Go slowly, and add the techniques a little at a time. Just like music practice, they are most effective when embedded in your routine. 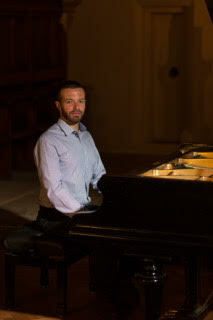 James Barnett is a piano teacher and pianist based in Sheffield, England. After graduating from the RNCM in 2012 he has built a busy portfolio career of teaching and performing. He is particularly passionate about ensuring young pianists have a strong technical foundation enabling them to achieve their musical goals. He has taught many students piano lessons privately in his local area via the MGR Music platform.